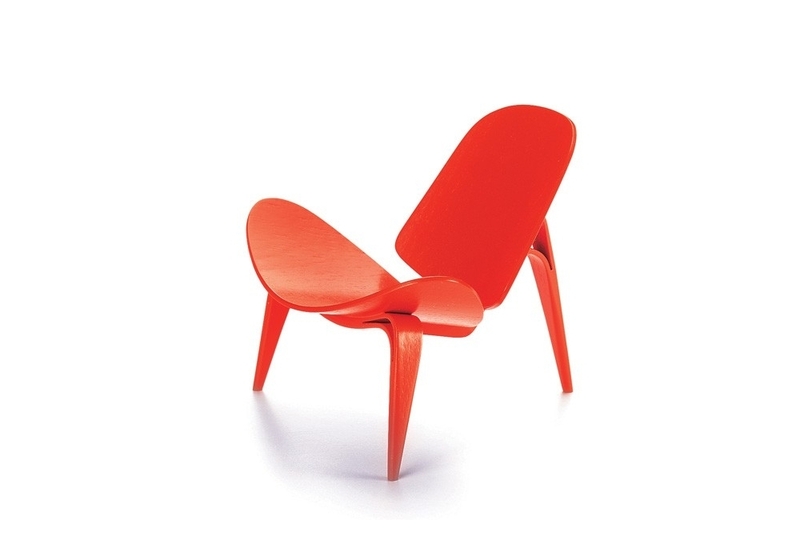 Vitra Miniature 3-Benet Skalstol, Wegner: Hans J. Wegner is widely considered to be one of the major innovators of traditional furniture making and the father of Danish Modernism. 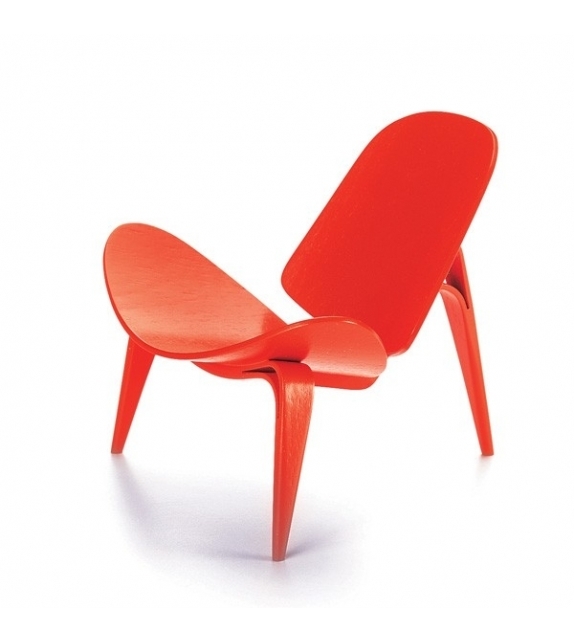 However, in order to stabilize the legs, in this model Wegner refined the existing technology by dividing the frame of glued laminated wood at the joints in the legs into two separate strands. 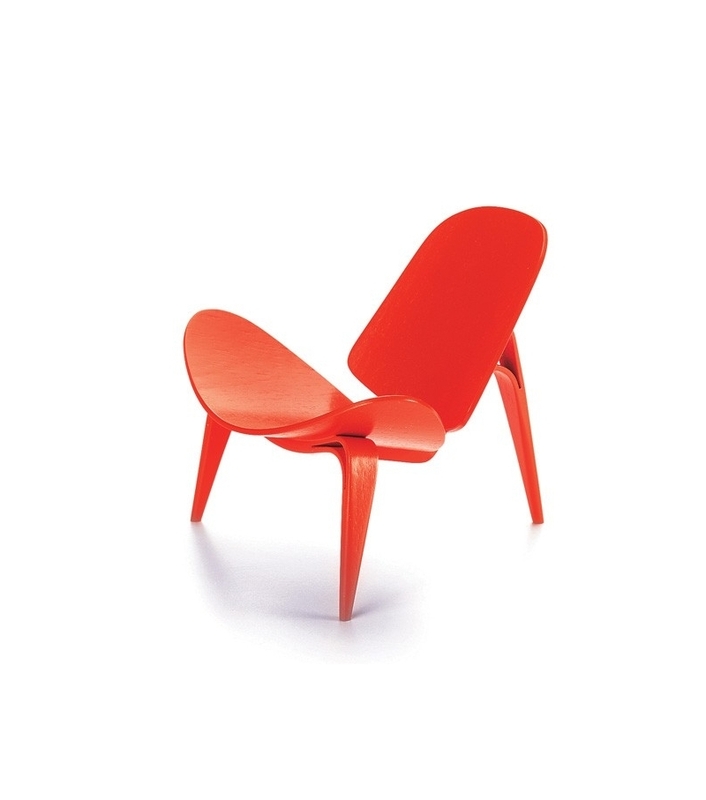 Vitra Miniature 3-Benet Skalstol, Wegner: Hans J. Wegner is widely considered to be one of the major innovators of traditional furniture making and the father of Danish Modernism. At the time when he created his 3-Benet Skalstol design, the two-dimensional forming of laminated wood and plywood was no longer a novelty. However, in order to stabilize the legs, in this model Wegner refined the existing technology by dividing the frame of gluedlaminated wood at the joints in the legs into two separate strands, the angles of which held each other in check. In terms of design and colour, he was strongly influenced here by Japanese tradition.Thismodel only ever existed as a prototype, both with and without upholstery. Laminated wood, lacquered.